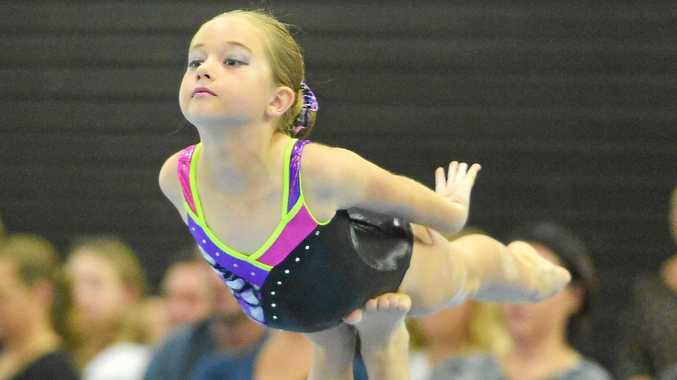 GYMNASTICS: It was a case of high achievements for a number of Gladstone gymnasts in Sunday's Central Queensland Acro Championships. Fourteen combinations from both Gladstone Gymnastics and Revolution GymSports have qualified for the Acro State Championships which will be held on the Gold Coast on August 10-12. Gladstone Gymnastics club administrator Amy Dew said there was a strong contingent of athletes from various parts of Queensland. "We had 29 partnerships (72 athletes) competing from level one to level eight," she said. "The highlight of the event was the amount of competitive groups who travelled from the Central Queensland region and Brisbane. "It was great to see the numbers are increasing the discipline of Acro across all levels. "This event was also important for our senior athletes from level six and above in preparation for Acro state team trials held in Brisbane on April 21 to qualify for the Queensland team for the Australian National Championships in May." Dew said the standard on Sunday was very high given the first competition of the new season. "Because of the first competition, none will be peaking as yet," she said. "We want them to start peaking toward nationals, but having said that, Sunday had a lot of really good results and good partnerships and there were some new partnerships. "All groups competed very well, routines were executed at a high level with solid artistry and no apparent errors." Gladstone trio of Samarah Littlemore, Maddison Doran and Mia Nunn stood out with honours in the level eight Women Group category while Izabeya Jones and Emma Tiboni received the highly recommended accolade in the level seven Women's Pairs. Meanwhile several level four Gladstone Gymnastics athletes will head off to New Zealand for the Christchurch Invitational from July 7-9. Dew said it will be a huge experience for them. "It's quite a sough-after competition and will give our athletes international exposure in what will also be a fun competition," she said.